So now that you have the absolute basics of the language, here is the best way, I have found after 7 years of language study, to learn Japanese. First thing you want to do is begin learning Hiragana. It’s the most basic script you can learn and is learned by children first in grade school. Katakana is for foreign words like English cognates. I used Kodansha’s Hiragana workbook and I highly recommend it. After you’ve grasped Hiragana, you can begin learning Katakana. Fortunately, they follow the same phonetic order making memorization just a tad easier (example: Ka, ki, ku, ke, ko). As you learn the writing, begin to remove your dependence on the English alphabet and begin writing everything in Hiragana or Katakana. I used Kodansha’s Katana Workbook as well and I recommend that book as well. I don’t recommend any other textbook more than I recommend Tae Kim’s grammar guide. It’s incredibly well written and it goes against the norm a little bit. 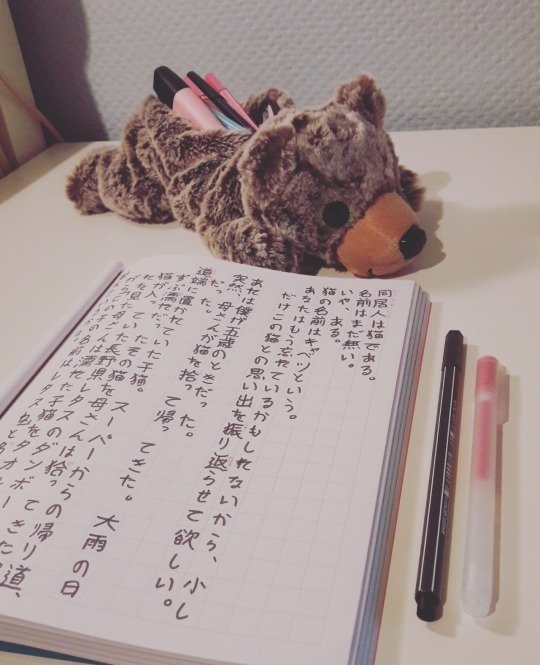 It encourages you to begin learning Japanese from the lowest politeness form and work your way up, since it makes WAY more since to do that. He goes from the plain form and then teaches you to add the politeness levels and conjugations to them. Traditionally, textbooks teach the polite forms first and then ask you to go backwards in a way. So counter intuitive, but the reason they do that is so that you can begin speaking immediately to adults. That’s all fine and dandy, but you aren’t learning the language properly. Period. I’ve heard people sing praises about WaniKani, so I’ll keep this short because you can read about how awesome it is all over the web. In short, it’s a free website that helps you learn around 2000 essential Kanji. It uses the spaced repetition method meaning after you’ve learned around 20 or so kanji/radicals, it will move those to the “to be reviewed” so that you can come back to them later. You will have to keep reviewing them until they’ve been moved to the ‘burned’ section. In other words, it’s burned in your mind and properly memorized. I highly recommend it. At some point you’ll need to know how Japanese sounds and how to understand it. That’s where Fluent-U comes in. It uses modern media to help you learn Japanese. You learn through studying anime, tv shows, music videos, commercials, and popular Youtube videos. It is also uses space repetition, but most importantly every vocabulary word is taught with real world examples from real movies, tv shows, etc. The key to learning Japanese is to master, nay, DOMINATE the essentials. Take your time while learning the basic grammar points and practice, practice, practice them. Use your new vocabulary to make new sentences with your new grammar and do whatever you can to practice.